2. Dang Tran N., Nguyen Huu Chau Duc, Xerxes T. Seposo, Thang Tran B., “Characterizing the relationship between temperature and mortality in tropical and subtropical cities: a distributed lag non-linear model analysis in Hue, Viet Nam, 2009-2013”, Global Health Action, 2016, 9. 3. Nguyen Huu Chau Duc, “Determinants of the developmental risk factors in Vietnamese preschool‐age children: A cross‐sectional survey”, Pediatrics International 2016; 58(1): 14-21. 4. Nguyen Huu Chau Duc, Keiko Nakamura, Masashi Kizuki, Kaoruko Seino, Mosiur Rahman, “Trends in inequalities in utilization of reproductive health services from 2000 to 2011 in Vietnam”, Journal of Rural Medicine 11/2015; 10(2). 5. Nguyen Huu Chau Duc, Nguyen Ho Minh Trang, Tran Binh Thang. Determinants of missed opportunities for HIV testing among pregnant women attending antenatal care in Vietnam: a cross-sectional survey, Journal of Medicine and Pharmacy, 2014; 6: 70-78. 6. Nguyen Huu Chau Duc and Nguyen Ho Minh Trang, “Violent Disciplinary Practices towards Children among Caregivers in Vietnam: A Cross-Sectional Survey”, European Journal of Social Sciences 2014; 43 (4): 305-313. 7. Nguyen Huu Chau Duc, Nguyen Ho Minh Trang and Nguyen Tien Dung, “Research note: Empirical assessment of the Tourism-Led Growth Hypothesis – the case of Vietnam”, Tourism Economics 2014; 20(4): 885-892(8). 8. Nguyen Huu Chau Duc and Nguyen Ho Minh Trang, “The Contribution of Tourism to Economic Growth in Thua Thien Hue province, Vietnam”, Middle – East Journal of Business 2013; 8 (1): 70-77. 9. Nguyen Huu Chau Duc, Nguyen Ho Minh Trang and Hoang Cong Gia Khanh, "Budget Deficit and Inflation: An Empirical Analysis in Vietnam", International Research Journal of Finance and Economics 2013; 111: 22-29. 10. 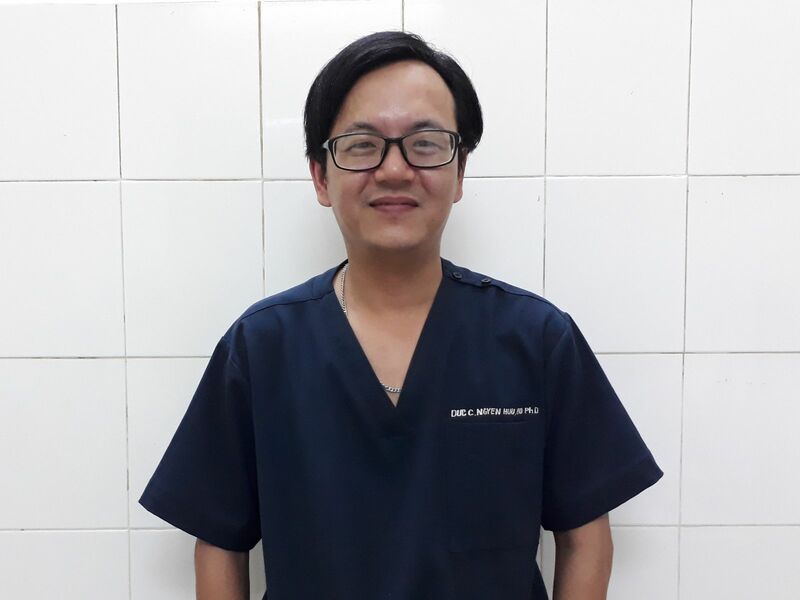 Nguyen Huu Chau Duc, “Study on clinical, paraclinical and effective of treatmen on children with Idiopathic thrombocytopenic purpura”, National Practicical Medicine Magazine 2009; 369. 11. Nguyen Huu Chau Duc, “Assessment the IMCI anemia sign “Palmar Pallor” with the hemoglobin in children at peadiatric department of Hue Central Hospital”, Ho chi Minh Practicical Medicine Magazine 2006;10:6-21.